P.K. Subban’s Hidden Talent: Weather Forecasting? Every one of the players seems to have a hidden talent. Bobby Ryan and Michael Grabner are incredibly adept pet trainers, for example. Apparently, P.K. 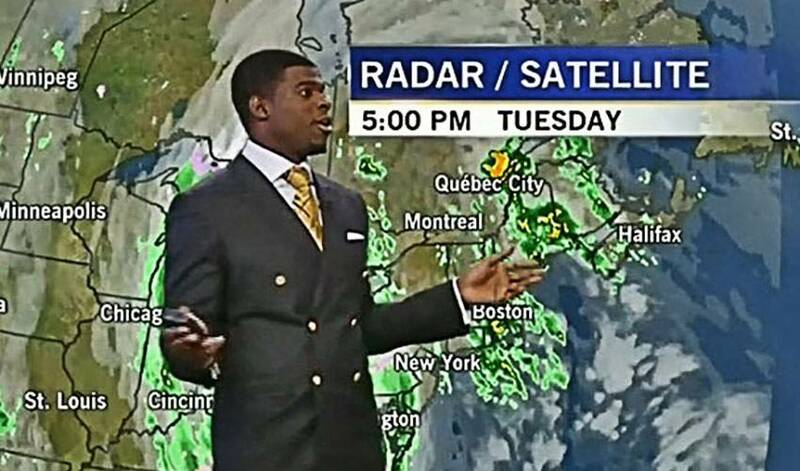 Subban’s hidden talent is weather forecasting. This past Tuesday, Subban paid CTV Montreal a visit and delivered the weather forecast in place of weather presenter Lori Graham. Aside from getting a few minor details wrong – L stands for low pressure, not loser, P.K. – he nails it!